BCCM invites you to participate in the first symposium that brings together the key players in developing this new law. 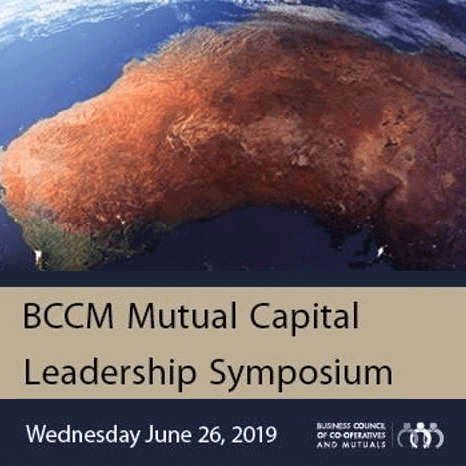 BCCM Member Discounted Early Bird tickets on sale until 3 May 2019. Co-operatives and mutuals are owned by their members and therefore accountable to them, not distant shareholders or investors. Co-op or mutual member-owners can be customers, employees, residents or small businesses, such as farmers. This is the fifth in a series of blogs by Alison Gaines, Chief Executive Officer, Gerard Daniels. She provides board governance tips for BCCM members. Today, Minister for Health and Wellbeing Ms Meegan Fitzharris MLA officially opened the National Health Co-op’s (NHC) newest Clinic within the newly established Kambri precinct at the Australian National University (ANU).